Multi platinum selling Canadian singer songwriter’s 10th album which was released in his home country in July last year but has now been released here. It is in many ways what you would expect from a seasoned artist steeped in the country rock tradition of bands such as his previous crew Barney Bentall and the Legendary Hearts and of his collaborator on one track the great Blue Rodeo. 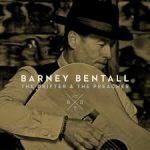 ‘The Drifter’ is a classic case in point featuring as it does a honky tonk piano riff aided and bolstered by soaring fiddle, slide guitar and a deep sense of melancholy. This is great track that drives along in a Leon Russell way and in fact fades far too soon. ‘In the Morning’ is a bright Hammond and brass driven ‘wake up song’ of the type you may see backing a a montage of cars driving towards a mountain range as the sun climbs the sky. Yet it remains just the right side of cheesy such is the sense of joie de vivre. Bentall’s voice is a sturdy instrument that he uses well throughout with its natural range and mellifluousness perfectly suited to his subject material none more so than on the tribute to his friend and fellow musician John Mann in his battle against early onset Alzheimers ‘The Ocean and You’. A solid and by turns surprisingly emotional album. Well worth a listen. Great, big album of Canadian skies, drifters and heartfelt love played with verve and spirit.